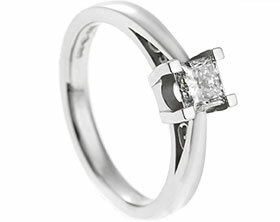 Daniel wanted to surprise Catherine with a unique engagement ring that had strong ethical credentials. 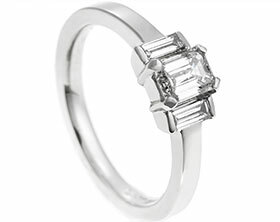 He wanted to use a synthetic diamond as the main stone within the ring as he didn't want a gemstone that had gone through the mining process. 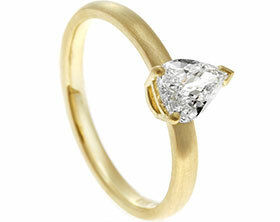 He was also really interested in the science behind the creation of a stone of this kind. 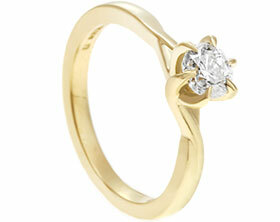 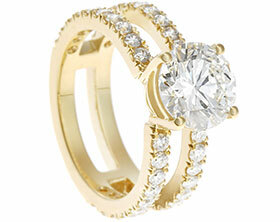 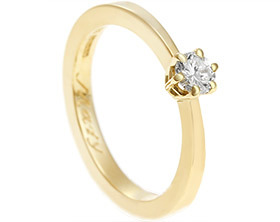 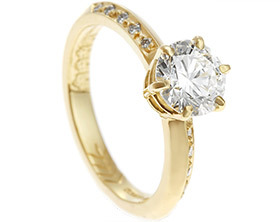 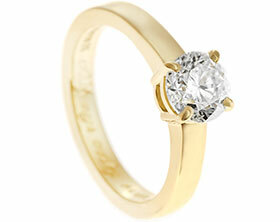 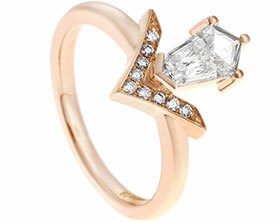 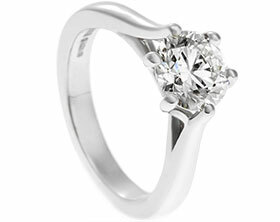 At the centre of the ring is an central IGI certified 0.34ct brilliant cut DVS2 synthetic diamond. 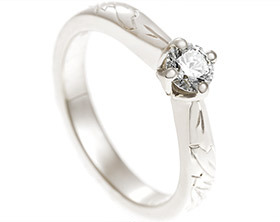 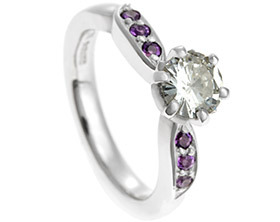 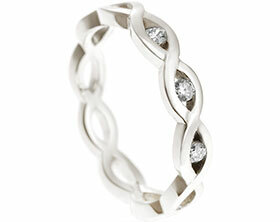 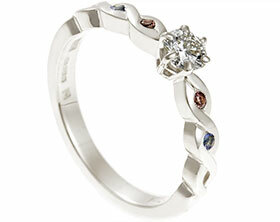 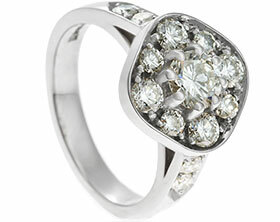 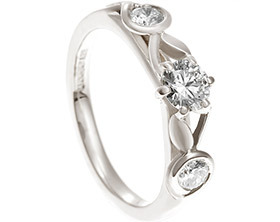 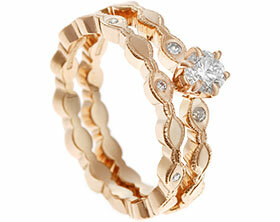 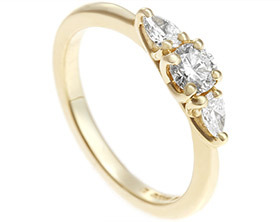 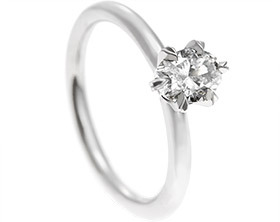 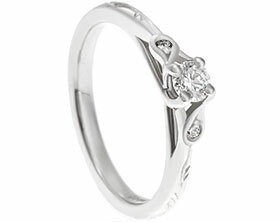 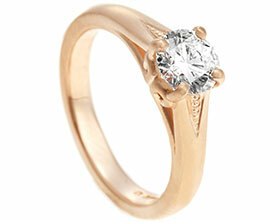 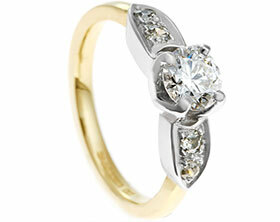 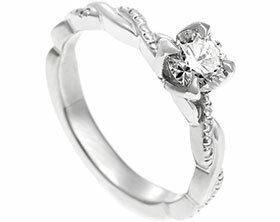 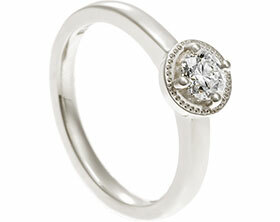 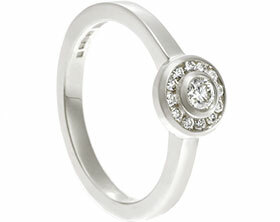 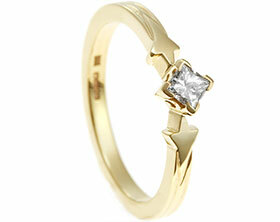 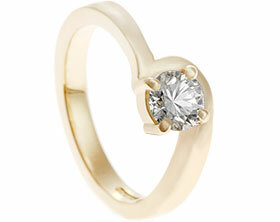 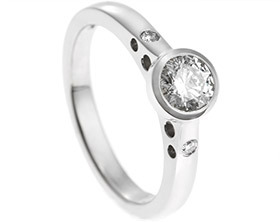 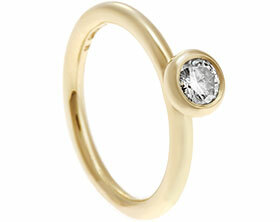 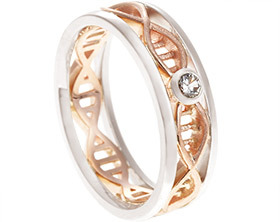 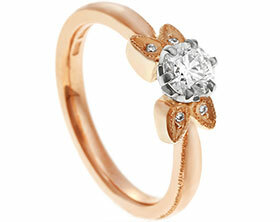 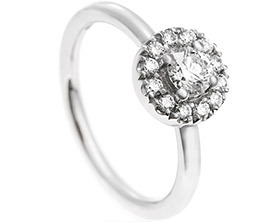 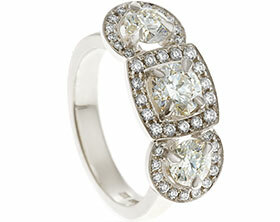 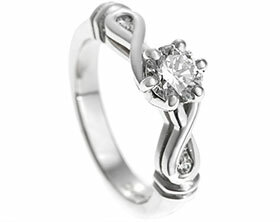 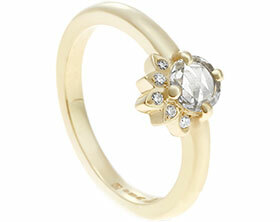 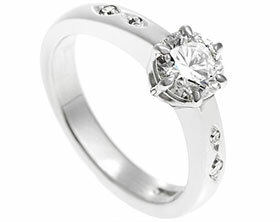 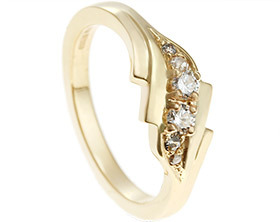 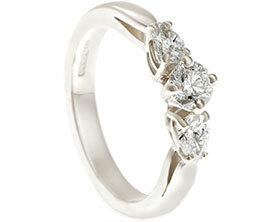 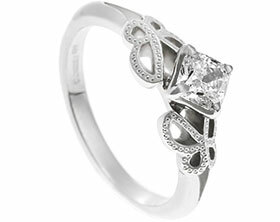 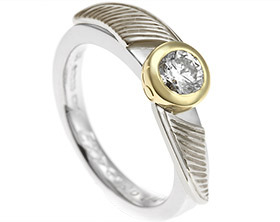 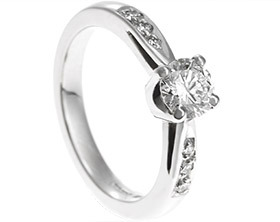 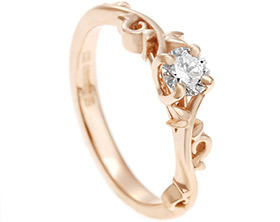 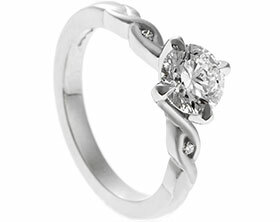 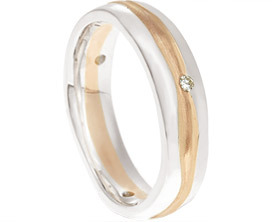 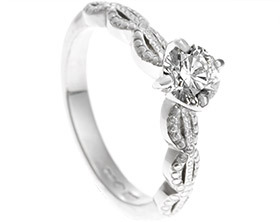 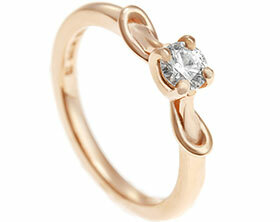 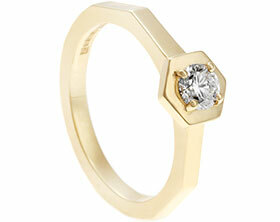 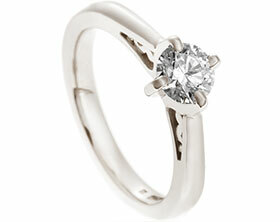 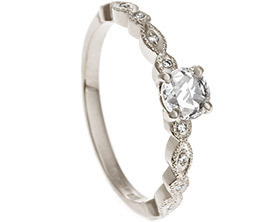 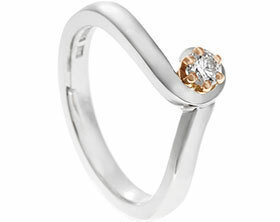 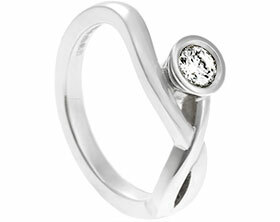 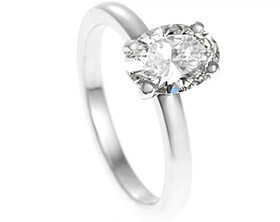 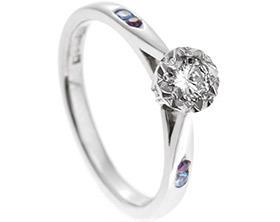 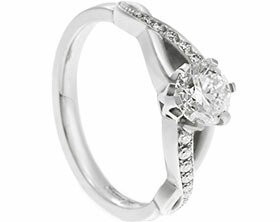 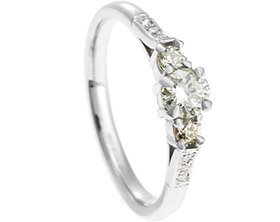 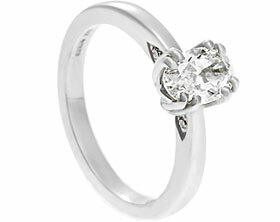 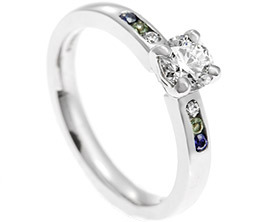 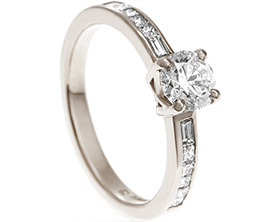 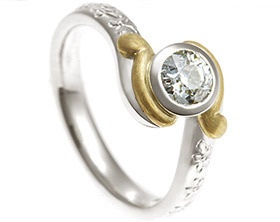 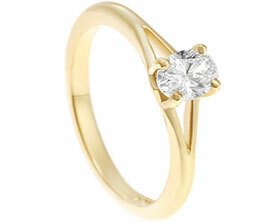 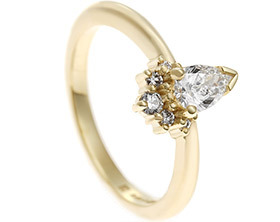 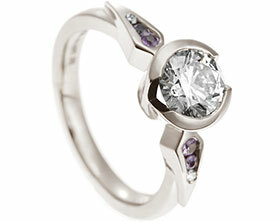 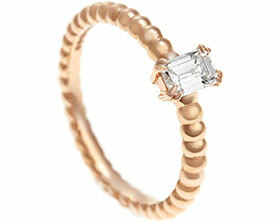 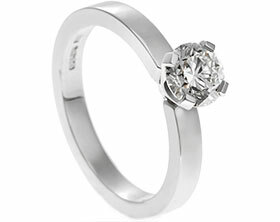 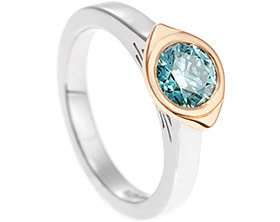 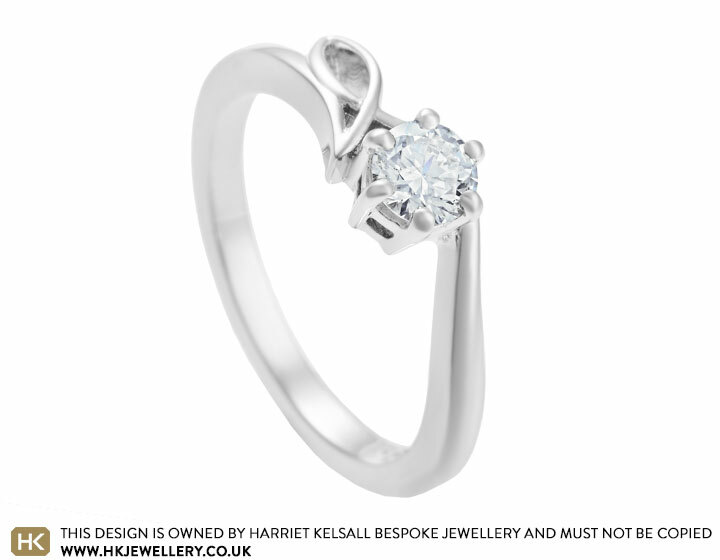 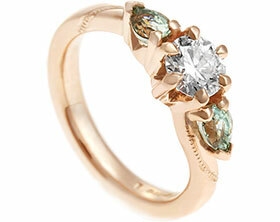 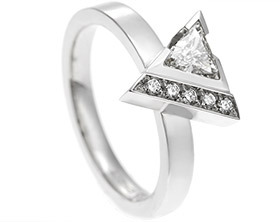 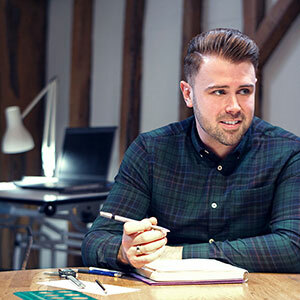 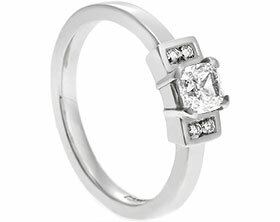 Daniel chose Fairtrade 9 carat white gold for the soft warm tones of the metal and its strong ethical values. 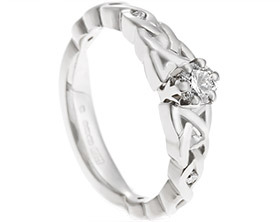 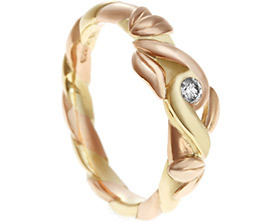 The gently curving band swoops around the central stone and loops back on itself to create an organic shape inspired by both nature and Celtic design.